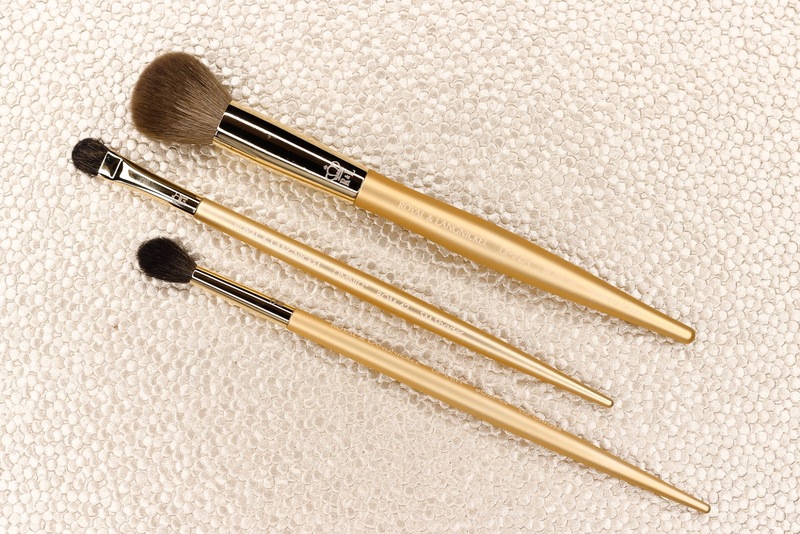 I came across Royal and Langnickel's Omnia Gold brushes while I was at IMATS NYC last month. I was instantly drawn to their luxurious look and feel. I picked up the domed blush brush, the small eye shader brush, and the large crease brush. I initially got this brush to use with my powder bronzers-I thought the shape would be ideal for a more precise application. But that didn't really work out for me since this brush doesn't blend powder very well. It works fabulous for what it is actually intended for, though. It really does make dabbing on powder blush to the apples of the cheeks a cinch, with a very natural looking result. This brush is fantastic for lightly packing on eyeshadow to the small of the lids. So effortless to use. I can be somewhat picky when it comes to my crease brushes. But this one passed my test. It's the right size for applying and blending out transition colors, and although its a little on the larger side, it still allows room for some control and definition which I can totally appreciate. I am for the most part pleased with these Royal And Langnickel Omnia Gold brushes and they are nice new additions to my brush collection. The brushes are all made with natural hairs that feel super soft against the skin; and so far, I haven't seen any shedding going on. 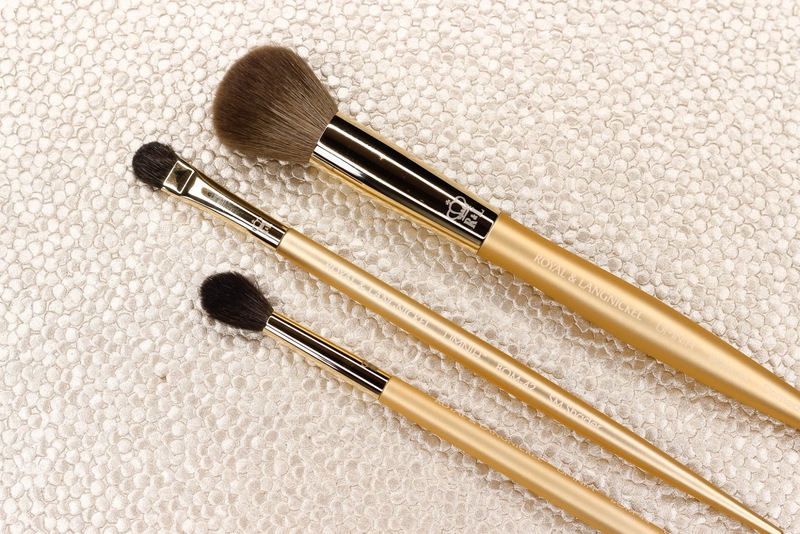 I am definitely interested in trying out more brushes from the Omnia Gold line. I have my eye on the contour and highlighter brushes.